Weepy the Dragon has proven to be a big hit in my household. I bought this book as a bedtime storybook for my two children, and having read this book (several times), I have nothing but good things to say about it. This book is full of illuminating pictures and cute dragon images which creates a very interesting plot line. J.J. Hebert does an exceptional job at captivating a young reader. The characters were well drawn and my children loved them. I thought the plot about the dragon world was solid and teaches children about the importance of not judging a book by its cover. The only negative thing I have to say, which is more constructive than negative, is that the writing could have been written in a larger font. Trying to get my two children to read along was a bit of a struggle due to the small font. But, other than that, the writing itself was clear and intriguing. I highly recommend this book to anyone with young children who love a good story! 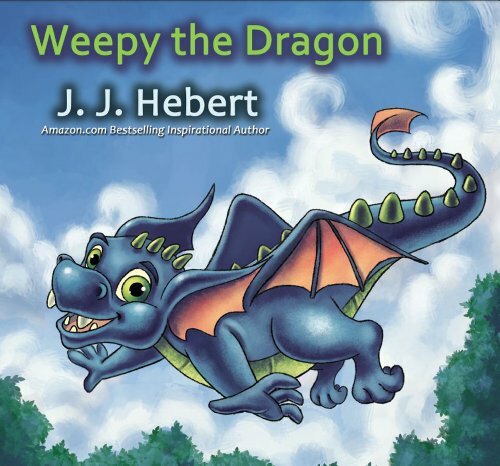 “Weepy the Dragon: the happiest, friendliest, and kindest dragon in the world” – a story for every child! It all begins innocently enough: a woman finds an animal that has been the victim of inexplicable torture. However, neither the cat nor the woman are average in Natrelle Long’s The Tattooed Cat. This short novella grips readers from the get-go as it plunges directly into the meat of the story. Charley, our bad-assed protagonist is elegant and rough all at the same time. She is determined and passionate. She will find who exactly has hurt the cat she saved. The journey will lead her face-to-face with the darkness of humanity as the man-hunt reveals much more is going on than animal abuse. What begins with a cat ends with a corpse. This is the perfect kind of book to tuck into during a quiet afternoon. The short length of the book lends itself to easy reading and the story is perfectly contained within the minimal pages. There is no room for filler or other such garbage in this tale. Every sentence has purpose and each character has meaning. The characters Long creates are true to modern interpretations of humanity. The characters speak like real people, especially Charley, and it all drives the point home. It’s a quirky book in that there is enough content to write something even twice as long, but yet the ending is neatly wrapped and perfectly delivered that the need to drag the story out disappears. By being able to devote attention and detail to this short book Long still succeeds in creating a whole world with minimal building. Many novellas have the issue of limited time to grab a readers attention and explain the world to them at the same time. Maybe it’s the cat, maybe it’s the fact that Charley is so determined to unravel the mystery she finds herself knee-deep in that makes The Tattooed Cat by Natrelle Long so interesting. Once your attention is grabbed there is no escaping the desire to read every single word and find out once and for all how the cat and the nefarious deeds of a single man are interconnected. We are reminded of humanity’s darkness and weaknesses and that the world is not a beautiful place. But we also get to see the beauty of a single person working towards polishing this ugliness. This is a book you won’t regret picking up. James Frost is an aspiring writer with huge plans, but life seems to have things laid out quite differently for him. Rejection letter after rejection letter, James begins to lose confidence, becomes increasingly filled with fury, and sees no way out of his destiny as a school janitor. His father’s offhand attitude about James’s future does nothing to help his morale. Then, James meets Leigh–a woman who could not be more different from him if she tried. A devout Christian always seeing the positive side in trying situations, Leigh brings about changes in James and sends him careening down a drastically different path of emotions and a newfound faith in Jesus Christ. James and Leigh both shoulder great burdens and are destined to have found one another at this specific moment in both their lives. Hebert paints a grim picture of the life Leigh endures as a woman with overbearing parents who manipulate everything from her love-life to her own self worth. James, with all of his issues, is as much a blessing to Leigh as she is to him. Hebert addresses warped body images in a realistic and tasteful manner as he highlights the relationship between Leigh and her mother. In addition, he draws James into the dynamic by having him gently override the damage created by Leigh’s mother. Nowhere is this more poignant than when James, in no uncertain terms, explains to Leigh that she is speaking her mother’s words and not her own. Everyone needs a James in his/her life–he an amazing voice of reason. James is an amazing character on many levels. Hebert has gifted readers with a champion of free thinking while molding a character who is broken and in need of love and faith. As a reader, I was touched on more than one occasion by the descriptions of James’s poor health, his financial struggles, and his staggering lack of self confidence. 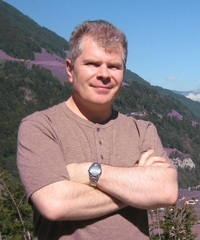 Hebert certainly gives readers a main character for which they can both cry and cheer. I was more than impressed with the turn of events in which James becomes a giver of strength and a builder of self-confidence. It is quite a stark difference from the outset of the book wherein James’s feelings are scattered and he’s falling toward depression. Meeting Leigh is just the tip of the iceberg; meeting Meranda completes the change begun by Leigh. 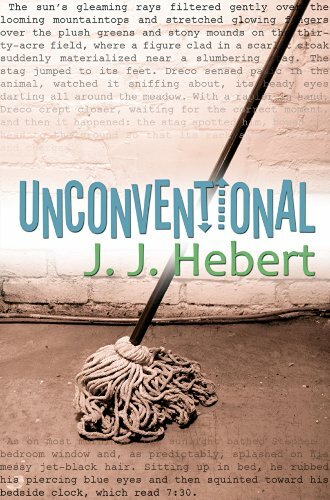 Hebert’s book is an unconventional literary approach to expressing Christianity. Readers do not often find text professing faith in Jesus Christ written in the form of a novel. Each of the stories surrounding James Frost’s life tug at the readers heart and doesn’t stop. James and Leigh are memorable and relatable. Hebert’s in-depth look into James Frost’s transformation is a testament to faith, love, and hope. 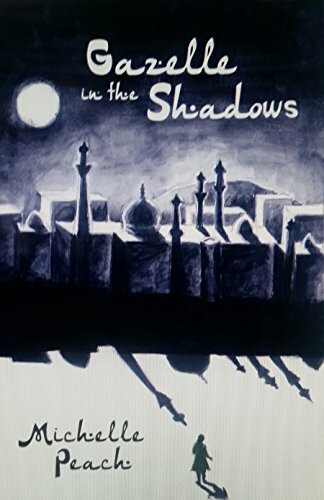 Based on her own life, Michelle Peach has crafted an intriguing story in Gazelle in the Shadows. Some parts of the story are fictionalized according to the author. The novel opens with Elizabeth Booth who has been kidnapped. She’s battered and bruised and not sure who is responsible. Her British diplomatic immunity does not seem to be of any use to her at the beginning of the story. We then cut to an earlier time on a cold, rainy April day in the north of England. She is in Professor Mansfield’s office, attending school at the Centre for Middle Eastern and Islamic Studies in Durham University. Not sure where she will succeed, she decides to enter the Foreign and Commonwealth Office as a Diplomatic Service and she loves it. Most of her life seems to have been about finding out who she is in her family. She grows up wanting to leave home and go on adventures. The point of meeting with her professor on that April day is to convince him to allow her to do her study in Damascus. She is the only student from her class going there. On the flight to Damascus, she is told by the flight attendant that there are no hotel rooms and arranges a place for her to stay. Starting with the people on the flight, I did have to suspend disbelief somewhat to make myself believe that she could be as naïve as she was behaving. It seemed odd to me that anyone would trust a man on a flight and follow him afterward, even if he did work for the airline. It does seem to me that it would raise red flags. She is literally a stranger in this new land and finds herself offending without meaning to. For example, when she drops bread on to the ground, she does not realize that bread is a sacred food and should never be wasted. She finds that navigating this new, strange land is not as easy as she had expected. I did love her descriptions of the exotic locale. She really brings the countryside to life with her writing. This story is filled with mystery and suspense. This story was interesting to be because, unlike most books I’ve read, it’s about a place I knew little about when I started reading. The cultural issues that arise throughout the story are every bit as interesting as what is happening in the story. The only negative about the book is that I felt I knew what might be happening early on in the story even though I was not entirely correct. Despite that, the author has crafted a story that kept me turning pages way past my bedtime. Lessons from the Frogs I’ve Kissed is a heart-wrenching and personal story of love and loss. Why was this an important book for you to write? The writing and sharing of my story became a significant journey of healing for me. I felt the universe was fully supporting my writing as the memories were downloaded and I was able to recall the most intricate detail and communicate my feelings and memories in relatable words. I realised then that not only was this book meant to be written as part of my own healing process, but that it also needed to be shared with others, as there are plenty of people out there who could benefit from the lessons I had learned. This truly was the book I wish I had when I was going through any one of my painful break-ups at any given time. During the process I realised the more honest, raw and authentic I was with myself, the more relatable my story would be. So I threw myself under the bus a few times, in order to make sure this is not a one sided, man hating tale, as there were always two people in the equation. It has been written with cringe-worthy honesty and dashes of humour to keep a somewhat heavy subject matter light and enjoyable. I appreciated your willingness to share difficult moments in your life. What is one piece of advice you wish someone had given you? One piece of advice that I wish someone had given me is that we tend to fall in love with our partners potential. We keep hoping and waiting for our situation to improve. What we don’t realise is that is just the kind of cake we bake with our partners, and that our relationships are unlikely to change into the fulfilling relationships we are hoping for. The dynamics between two people is set in the beginning. You will not magically be attracted to someone or earn their respect if it was not there from the onset. You detail an abusive and destructive relationship, but I found the book to be ultimately uplifting. What do you hope readers take away from your story? I really hope to give my readers perspective on their own relationships, whether they are good or bad ones, just something to compare them to. I also wish to give hope, hope that true love and happiness does exist. One of my big realisations was that in order to meet someone who could genuinely love me and I love them, I had to find self-love first, and I think this was one of my most valuable lessons. One of my readers stopped me in the local shopping centre to let me know since reading my book she had the full realisation that she is married to a Pete, and she is now certain she needs to get out of her marriage, When I hear feedback like this I know my book is here for a reason. I had to laugh when I was first asked this question. My book hadn’t been been out for three days after working on it for almost 5 years and people were already wanting to know when they could expect my next book. I had a rather sticky court case recently when I was sued for parental alienation. There is definitely a book there which I feel will help other women and men in similar situations. I guess I need to get my writing cap on soon. I invite you to be a fly on the wall as I revisit all my significant adult relationships and share the invaluable life lessons I have learnt over the last 20 years. In my most desperate moments, whether dating or married, I searched for a book that could give me some much-needed perspective on my current circumstances. That book did not exist – until now. Many of us have been in romantic relationships which feel incredible in the beginning but end up in trauma, regret and despair. How do we stop ourselves from becoming locked in cycles of abuse? What are the unconscious dating patterns that underlie our romantic interactions? How do we know what we are looking for in a partner ? And most importantly why do we need to learn to love ourselves first? 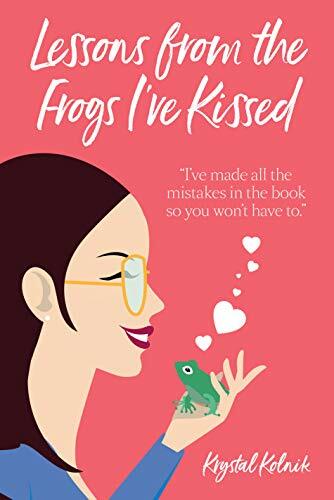 Written with dashes of humour and cringe-worthy honesty, I am sure you will find Lessons From the Frogs I’ve Kissed to be an entertaining and powerful read, which should help you in your own personal journey in finding ever-lasting love and happiness. Boomerang Will Not Return follows a stealth bombers crew as they travel back through time and must battle for the future in the past. How did the idea for this novel start and how did it change as you were writing? I always loved the time travel stories starting form the classic tale of the H.G. Wells The Time Machine and movies such as Time After Time, Back To The Future trilogy and the Terminator movie franchise. 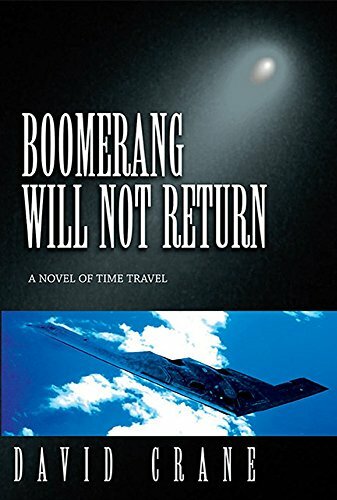 The idea for Boomerang Will Not Return came to me from two motion pictures featuring time travel, The Philadelphia Experiment and The Final Countdown. The novel had evolved from a short story I wrote titled Sword of Gabriel, which featured my story protagonists accidentally traveling back in time because of the time and space altering comet called Gabriel. I wanted the story to have a broader aspect and therefore the battle to save history happened in both past and resent. Time travel is rife with paradoxes. Were there any challenges to writing because of this? Yes, the time travel paradoxes presented an interesting challenge to me as a writer. The general theory of relativity does not forbid the time travel, but there are technological and moral questions that arise from the use of such an invention. I wanted my time travel story design to be simple and straightforward, and let the readers use their imagination as to how the process of time travel in my story had occurred. The best part about working on a time travel story is that it offers a possibility of a new timeline, where temporal interference alters history as we know it. Time travel is a great tool for entertainment and I hoped to make the best of it. Your characters Stugel, Hartmann, and Crown are interesting and well developed. If Hollywood came knocking who would you cast to play your characters? Characters are the ones who drive any story and I had a great time developing them to make them realistic and interesting. I am a military history buff and I learned that in any conflict there are decent people on both sides, who were caught in the maelstrom of war and did their duty to the best of their ability even if it was for a wrong reason. And if I was fortunate to be approached by the Hollywood agents with a movie offer and given a casting choice, I would probably cast Liam Helmsworth as Hartmann, Jennifer Lawrence as Crown and actor Alexander Ludwig as Stugel. I think they would be good for the roles. Do you plan on continuing this series in another book? Well, I would like to do it, except that I think the story had a definite ending and final resolution. If I decided to change history in my novel, then yes, I think a sequel or two might have been in order. Time travel story ideas are definitely on my shelf for the future projects, and as soon as I am ready, I shall develop another time travel tale with a new and fascinating plot that hopefully will be interesting and enjoyable. It was supposed to be a simple mission–deliver six nuclear missiles back to the United States onboard the most advanced Stealth bomber in the world. The B-3 Boomerang is a super weapon that knows no equal. Nearly invisible to radar and lethal, it’s a paragon of present-day military technology. And America’s enemies want its secrets. What no one expected was an aerial phenomenon that catapults the plane and its crew from the present day to the year 1942 into the heart of Nazi Germany. With their plane disabled and captured by the Nazis, Major Richard Hartman and his copilot, Captain Deana Crown, are forced to fight for survival in a hostile land decades away from home. With the plane’s superior technology and its nuclear onboard arsenal, the Nazis could win the Second World War. The battle for the future will happen in both past and present. The pilots trapped in time now have a new mission: to save history at any price. “Strong Is…” shows that children can be strong in their own way when they’re up against tough challenges. Why was this an important book for you to write? 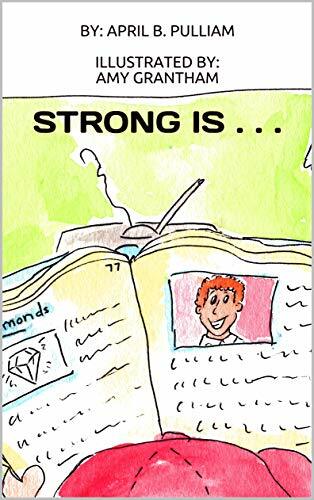 I began writing “Strong Is…” when my friend, Kathy, was battling breast cancer and had her in mind the entire time I was planning the path the story would take. It was important to me to convey her strength and at the same time write a book her young daughter and other children could understand and find relatable. I thought the art was cute and fitting for the story. What was the art collaboration like between you and the illustrator Amy Grantham? Amy is a phenomenal artist. We work together on a daily basis, so discussing the story and our ideas for the illustrations was simple. Once we decided we wanted the entire book to slowly reveal the character’s point of view, the rest was easy. Over the years, I have seen enough of Amy’s artwork to know what look I wanted for the illustrations, and Amy listened to my descriptions and more than delivered. I thought you handled this sensitive topic with respect while also making it accessible. What do you hope readers take away from your story? It’s my hope that readers of all ages realize that no matter the challenges they face, there is a strength that lies within each of us. Overall, I want the book to be a bright spot during difficult times for those struggling with cancer, their families, and their friends. Our next book is “Bottom Down, Penelope Brown” and should be available in the next 2-3 months. I won’t give anything away about it–my mom wants to be surprised. Author April B. Pulliam explores what “Strong Is” through a child’s eyes. Nothing defines strength like a battle, and there is no battle like the one presented by cancer. This book is for anyone touched by cancer and amazed by the strength found within during the darkest of days. When Abby Harris takes her faithful German shepherd out for a hike in Oregon’s beautiful mountains, getting abducted by aliens isn’t even a blip on her radar. Her trusty can of bear spray and the pocket knife isn’t much help against the seven-foot monsters who swoop in out of nowhere to transport her to a ship in space. Nicolai Nekbet is Crown Prince for the House of Nekbet on the planet Raiden. Unable to bear healthy children with females of their own species, Raiden warriors must hunt for a bride outside their own world. Nicolai has his heart set on a human even though their planet is protected by an ancient species called Laizahlian. When he sees the tall blonde-haired beauty out in the mountains with only a dog by her side, he knows he must have her. With Abby safely on his ship, Nicolai injects her with his shaprata, his essence. His shaprata will change her on a cellular level, making them compatible for procreation, but he must still work hard to win her heart. If she rejects their union, it could easily mean his death.